When Marge explains Bart that a fourth attempt to have a new baby could result in another girl instead of a boy, Bart imagines how awful his life could become in the future, holding the boxes for his three sisters . 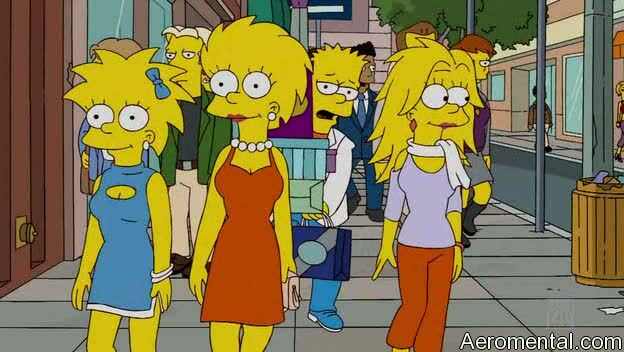 In the screenshot we see Maggie, Lisa and the third sister. can anyone tell me what the episodes name is ?! . I remember seeing this little scene in one Simpson episode but, can you tell me what episode that is from? Sure! It is from Season 21 Episode 08: O Brother, Where Bart Thou?